A while ago The Wall Street Journal featured an opinion article by Sander Tideman (“Can Mark Zuckerberg Find Enlightenment?”) urging Facebook CEO Mark Zuckerberg to take up Buddhism, evidently because it would help him in business. Zuckerberg is said to be waivering in his faith in atheism. 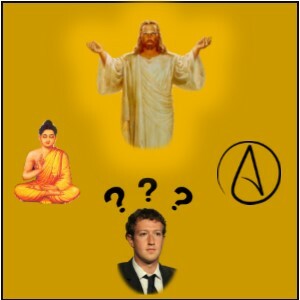 If Mr. Zuckerberg adopts Buddhism then he’ll feel right at home as an atheist. Theravada Buddhism teaches the doctrine of nonsoul. It teaches there is no God, no Creator. It teaches that life is full of suffering – which Christianity teaches as well (as a result of the fall of Adam and Eve). Unlike Christianity, which teaches that one can escape suffering by meriting heaven, Buddhism teaches that the only way to escape suffering is by attaining the extinction of one’s existence. Separately, the article promotes the fallacy that one should choose a religion based on what one likes – or in this case, what’s good for business. Instead, one should choose a religion based on which religion is true. There’s good evidence for the authenticity of the Gospels and divinity of Christ. There’s no evidence that Buddhism is true or that the Buddha was divine. In fact the Buddha allegedly even claimed he wasn’t a prophet or a god. In the end, you want to go with the religion that’s true, not with the one that’s most pleasing to you. Otherwise you may come to regret that decision in the hereafter.